Most people who are Christ-followers have already figured it out. Ash Wednesday and Valentine’s Day are the same day this year for the first time since 1945! This week, some of us will have to make a choice. Will Ash Wednesday trump Valentine’s Day? Will the food that we give up for Lent mean no Valentine chocolate? Or will it be chocolate-covered ashes? For Christians, Ash Wednesday begins the season of Lent, which is the forty-day period before Easter. During this time, we reflect upon the life and ministry of Jesus and journey with him to the cross. These forty days do not include Sundays, which from the earliest times were seen as “little Easters”. The English word “Lent” comes from the Anglo-Saxon lencten, which refers to the lengthening of days that accompanies spring. 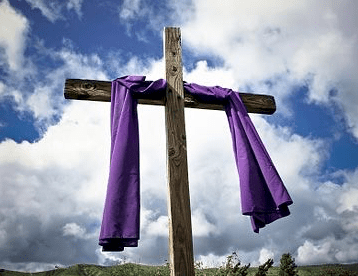 In the early church, Lent was a time when converts were instructed in the Christian faith in preparation for baptism, but it was also a time of fasting and penitence for all believers. That’s why many of us “give up” something for Lent…like chocolate. Valentine’s Day has a more confusing and nefarious history. We do know that the Romans celebrated the feast of Lupercalia from February 13 to 15. Having drunk too much wine, naked Roman men would sacrifice a goat and a dog and then went around slapping women with the hides of the animals. This was supposedly done to enhance male fertility. In addition, the Emperor Claudius executed two men by the name of Valentine on February 14 in two different years during the 3rd century a.d. The Catholic Church subsequently chose to observe their martyrdom on February 14, which we celebrate today as Valentine’s Day. Added to this complexity is the fact that in the 5th century Pope Gelasius I combined Lupercalia and the recognition of the “Saints Valentine” to create a day of drunkenness and love. Lest you think Ash Wednesday and Valentine’s Day could not possibly have any connection with each other, consider this: the primary scriptures associated with Ash Wednesday refer to the heart. Through the symbolism of ashes, Ash Wednesday asks us to confront our own mortality at the same time as we are called to confess our sin before God and change our heart. The beginning of repentance is always the transformation of our heart, which is exactly what metanoia, the Greek word for repentance, means. Most changes of heart, however, are gradual, even imperceptible. We wake up one day and suddenly realize that we are not the same person we were last year, last month, or even last week. But we’re not sure how and when it happened. This change of heart is God’s work as much as it is our own. It’s called grace. God spoke through the prophet Ezekiel (36:26), “A new heart I will give you, and a new spirit I will put within you. And I will remove from your body the heart of stone and give you a heart of flesh.” God loves you so much that God is just waiting to give you a new heart through Jesus Christ, even when you haven’t earned it or don’t deserve it. Is your heart restless? Is there a sense of disquiet in your inward being? Are you disconnected with the source of your life? The good news is that you, too, can have a changed heart. All you have to do is say “yes”. So what will it be this Wednesday? February 14 is a day for big business. 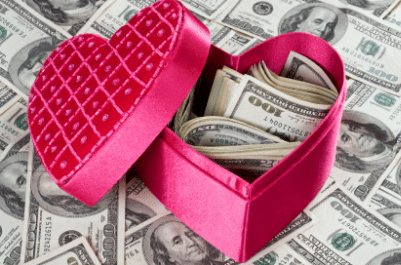 Valentine’s Day sales reached $18.2 billion last year, and this year they’re predicted to total $19.6 billion. A box of Whitman’s chocolates for your sweetheart? Dinner at a nice restaurant with friends? A card for your mother? Heart-shaped candy or red and white Peeps for your children or grandchildren? Chocolate-covered ashes? Or the best heart of all: a changed heart. For what it’s worth, Valentine’s Day and Ash Wednesday will coincide again in 2024 and 2029. And, in a truly trivial anomaly, Ash Wednesday will be observed on the same day as Leap Day (February 29) in 2096 for the very first time in the history of the Christian Church. Unfortunately, I won’t be around to leap into Lent that day unless there are ashes in heaven. So be it! Amen! Very well done article!!! Great writing and I learned some history too!! His grace and peace forever be yours and the blessing of every child of God. Others say that Lent begins on the first Sunday after Ash Wednesday. 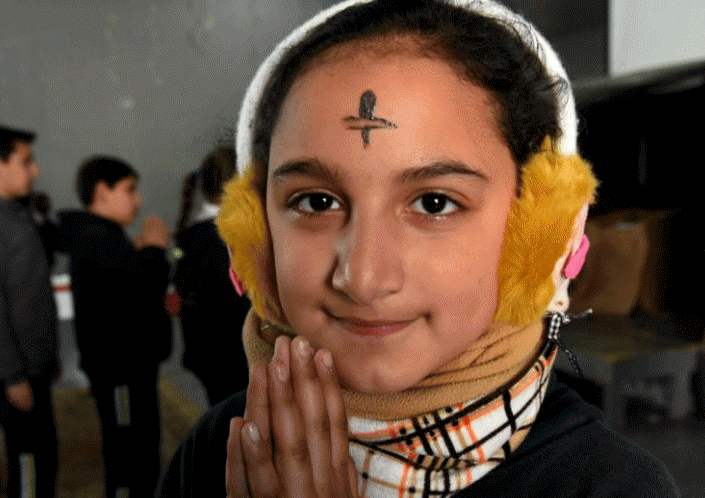 No one is exactly sure how Ash Wednesday became the first day of Lent. Do Sundays count as a part of Lent? Ash Wednesday Ash Wednesday dates from at least the fourth century, although it is not possible to give an exact date. During that century, penitents looking for forgiveness and re-entry into the community would dress in sackcloth and sprinkle ashes to show their repentance.